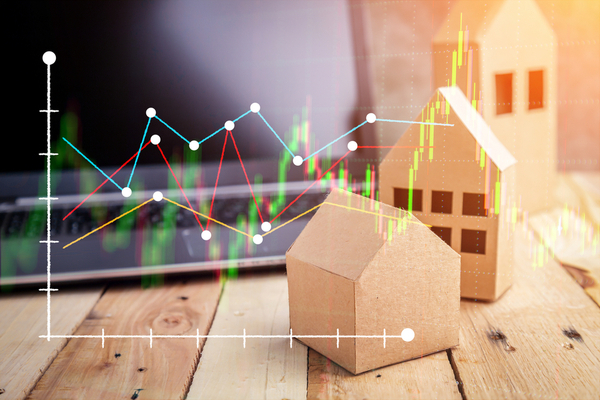 Often viewed as one of the least understood aspects of asset-based lending, DSCR is an essential tool for rent-and-hold investors. If you're a landlord, you're bound to hear the term DSCR while working with a real estate lender. So what does it mean? DSCR stands for Debt-Service Coverage Ratio. It can help you get a lower rate, or alternatively disqualify you from certain loan products when seeking investor financing. In this post, we will cover the general concept of DSCR, what a good DSCR is, and how you can improve yours. From a lender's point of view, DSCR refers to the borrower's ability to pay back a loan based on the monthly rent of the property. Essentially, it is a way to measure cash flow. The tricky thing about DSCR is that each lender may calculate it differently, and the minimum requirements often vary. So what is a good DSCR? While it varies between lenders, typically anything above 1.2 is usually considered good, and anything above 1.5 is considered great. 1.0 means the investor is getting exactly the same amount of rent as their monthly payments. Visio calculates DSCR by dividing PITIA (monthly principal, interest, taxes, insurance and association dues) by the gross monthly rent. How can you improve your DSCR? One way to lower your DSCR is to increase your down payment to lower your loan amount. When that isn't possible, you can always increase your credit score for better rates, rehab your property to charge more rent, or plan your investment area very carefully to optimize for higher rent and lower tax rates. Keep in mind that even if your DSCR ends up lower than expected, it does not mean that your property is a bad investment. There are many reasons to make a property investment-- from a high appreciating area to a longer-term investment plan based on market trends.